The CigElectric GO battery makes up part of the next generation of electronic cigarette devices. It’s compact design, amazing performance, long charge life and low cost make it the perfect starting battery for any electronic cigarette user. 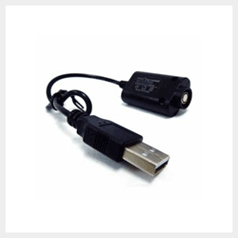 650 mAh capacity – 3.7 Fixed voltage. A great battery for all day use, backup or spare. The CigElectric GO battery makes up part of the next generation of electronic cigarette devices. 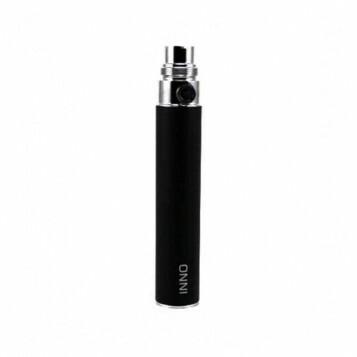 It deliveries a fixed 3.6 voltage making it a great power source for a range of atomizers. The perfect balance of long lasting performance, discreet and compact design. It comes as standard in all our CigElectric GO starter kits. The 650 mAh black eGo battery will give roughly 6 hours of usage time, for a light to medium user this means the battery could easily last all day. It is easily recharged with our standard USB charger. The GO battery features a remaining charge indicator. When battery capacity is over 50% the button with glow green. Less than 50% the button will glow yellow. When battery capacity is under 20% the button will glow red and should be recharged. It has a 10 second automatic cut off for safety and a 5 click on, 5 click off locking feature that you can use while carrying to ensure the battery is not accidentally activated. It comes in a non slip matt black finish, chrome connection points and base and a sturdy clear activation button. We recommend the GO battery for our iClear clearomizers and Boge standard and XL cartomizers. This battery requires a standard USB to eGo charger for charging. All of our batteries come with a 30 day no fuss warranty.